Can't embed but 2 short videos here and here. 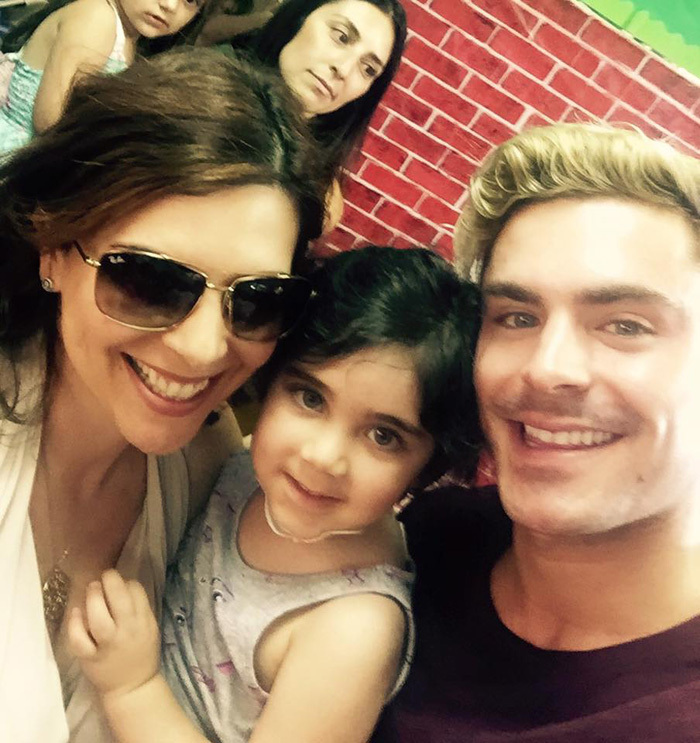 Poll: Who loves Zac more - preschoolers or their moms? 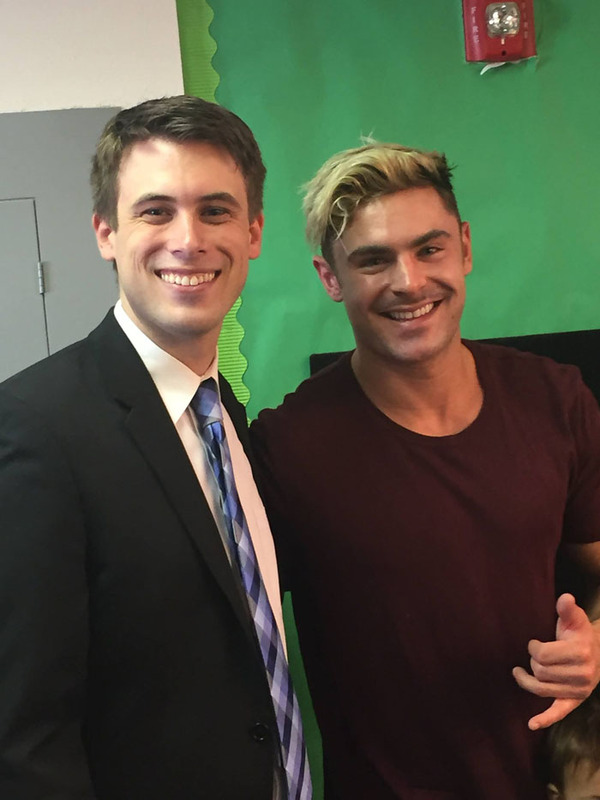 Why is he torturing us with that awful blond hair? Urgh! Anyway, this is a nice surprise. 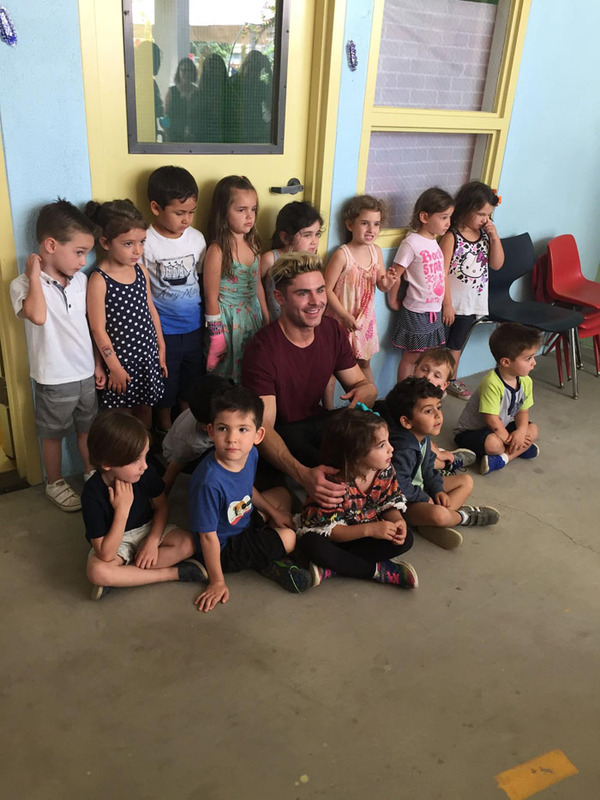 Zac and the kids are cute. Oh, he's a precious little thing isn't he? Cutest guy in town but i hate his hair!!! I love the blonde hair! Colton Haynes just went blonde too. Maybe they went blonde...together . Anyway, he looks like a rad surfer dude now, and I can go for that. And those black leather pants (dots forehead)are a yes, but the white converse sneakers demand white up top (shirt? Jewelry) to tie them in to the outfit. Just my .02 fashion cents worth. PS: The Hustle shirt works, but he switches for a red later. 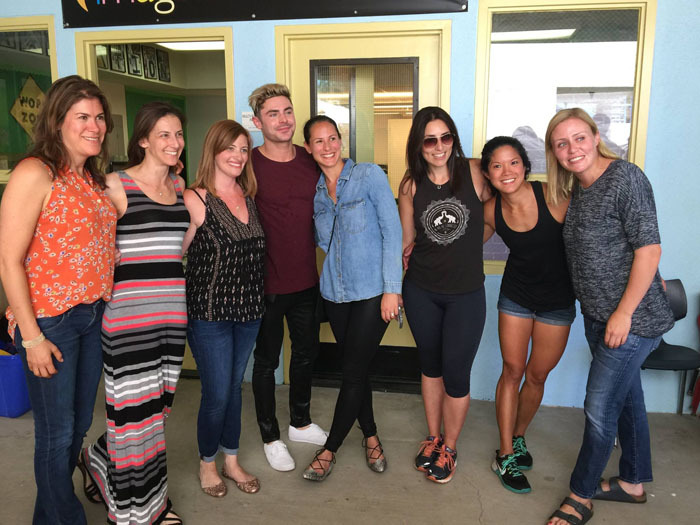 Were these pictures taken on two different days, or did Zac have a quickie with one of the teachers and have to change his shirt, lol? 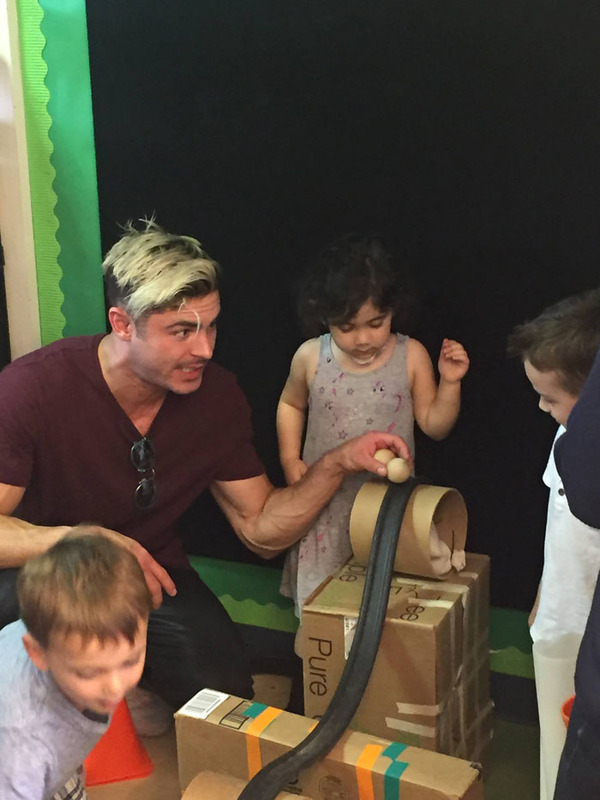 I suspect Zac likes the fact that the kids were all unfazed by him and treated him just like a normal visitor. 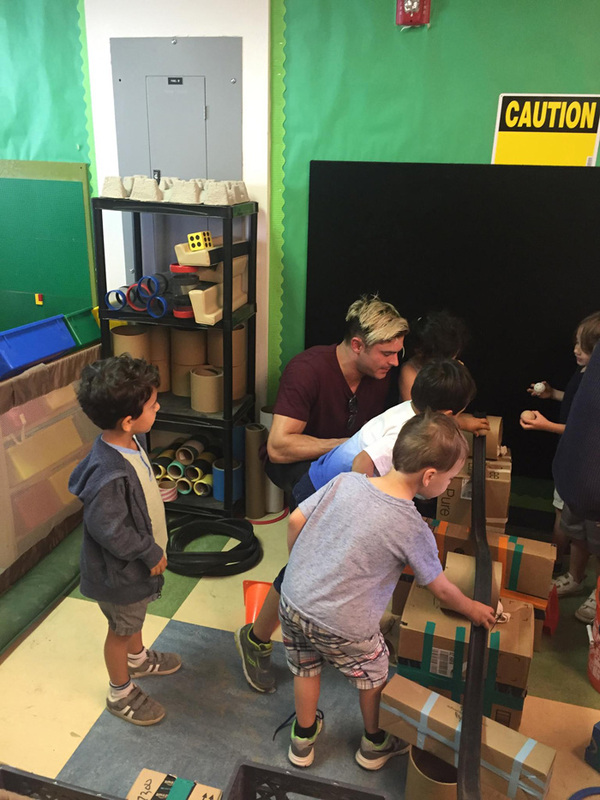 Great to see him visiting kids. I decided to ignore the hair and very, very early stages of a creeper stache - for now.